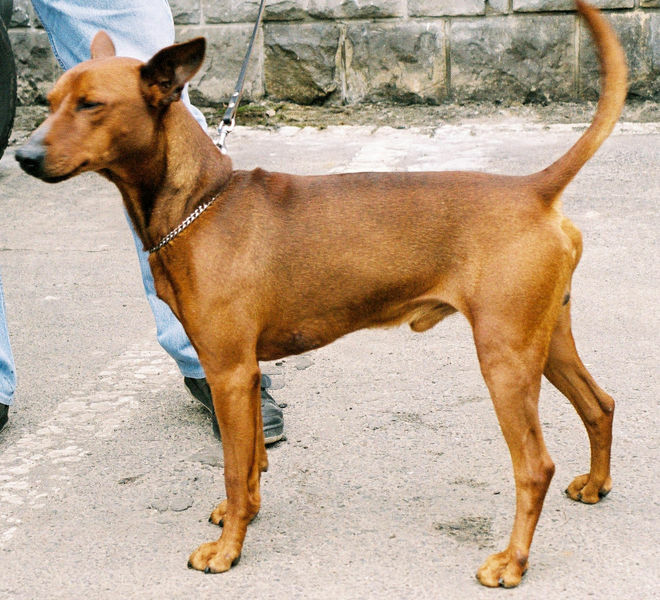 The German Pinscher — known as the Deutscher Pinscher in German — is a muscular, medium-sized breed with a long skull and muzzle, strong bite, medium-sized eyes, high-set ears (that can be cropped), and a docked tail. 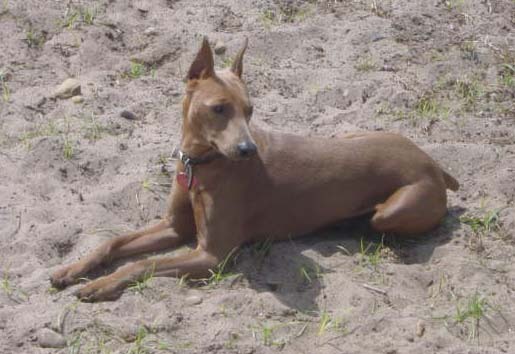 Their short, shiny coat can be be fawn, red, black, blue, or bi-colored with red and tan markings on the face, legs, and tail. 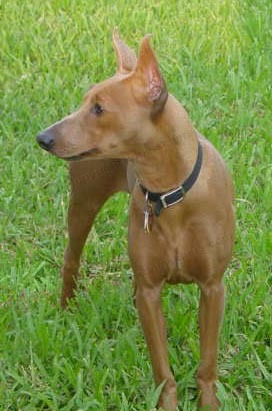 German Pinschers weigh 25 to 35 pounds and stand 17 to 20 inches tall. 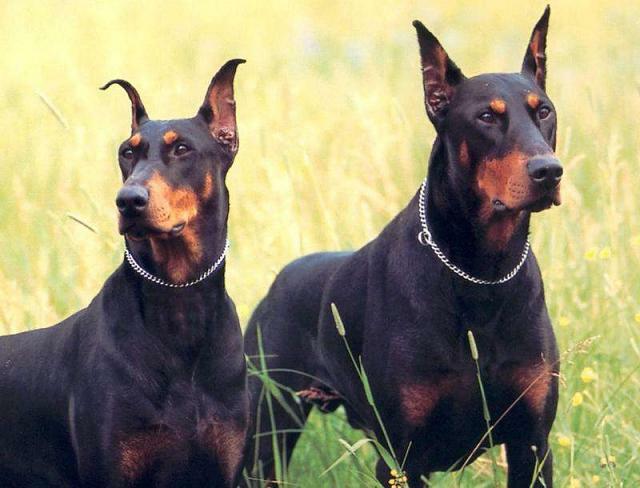 They're bigger than the Miniature Pinscher, but smaller than the Doberman Pinscher. 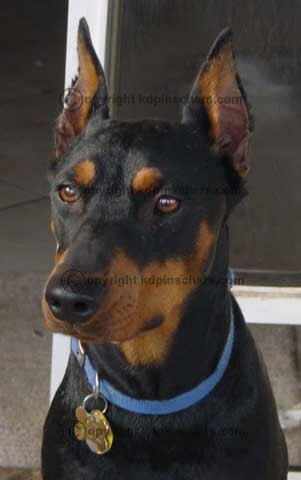 German Pinschers are friendly, intelligent, high-energy working dogs that are up for anything. 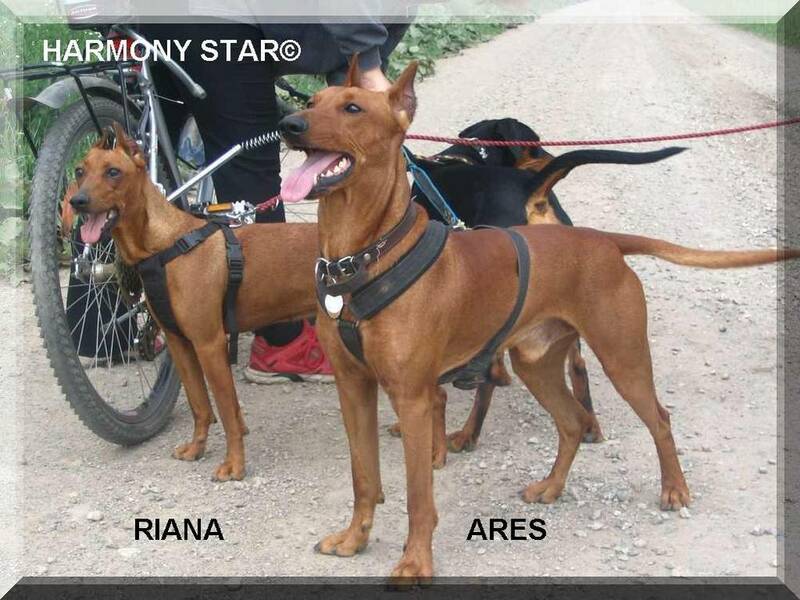 They're comfortable with kids and strangers, but they take their watchdog role very seriously: if German Pinschers feel threatened, they won't hesitate to bark and bite. 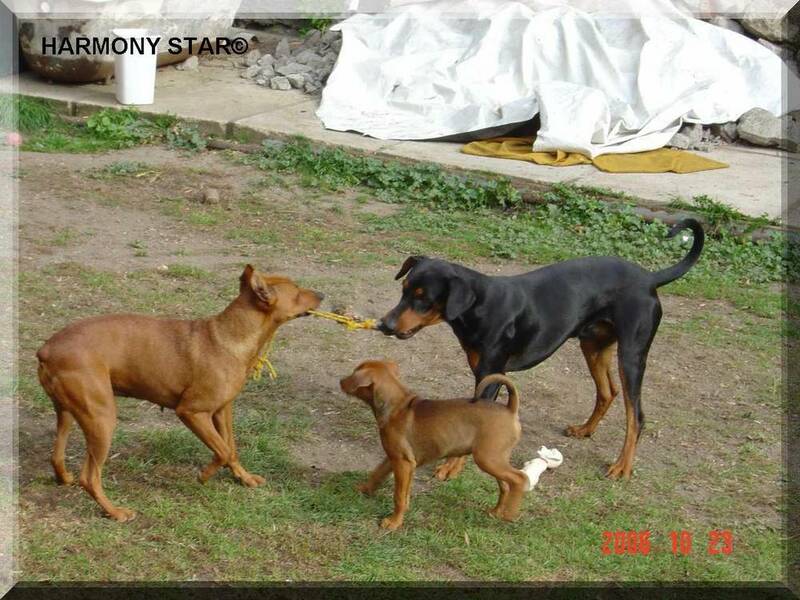 Early socialization is important for German Pinscher puppies so they feel comfortable around other dogs and strangers. Since German Pinschers are assertive dogs that make direct eye contact, they're not a good fit for passive or permissive owners. 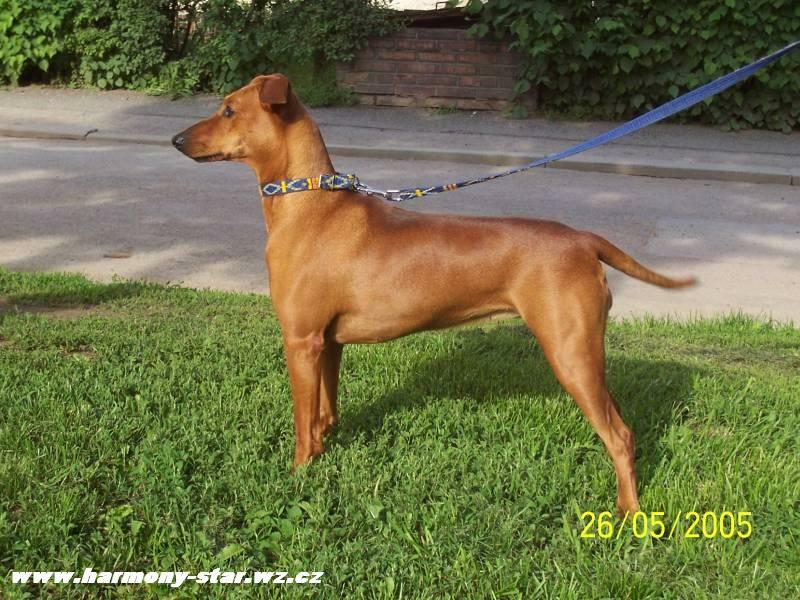 But if you want a devoted companion for life, a Pinscher could be the right choice for you! 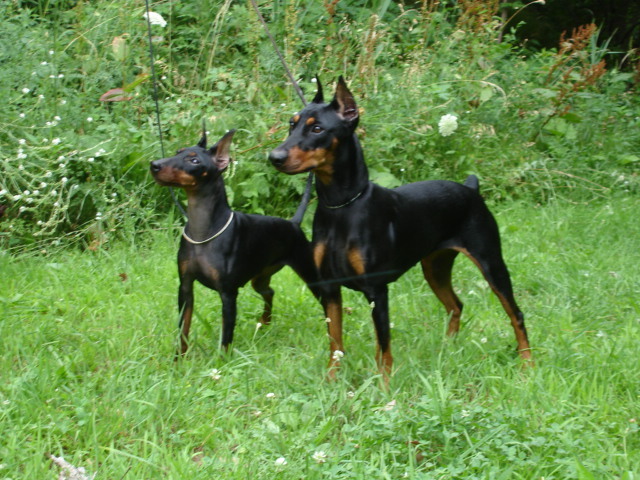 German Pinschers are descended from early European herding and guardian dog breeds. They were used to guard coaches and catch vermin indoors — so don't be surprised if your German Pinscher snags a couple critters around the house! 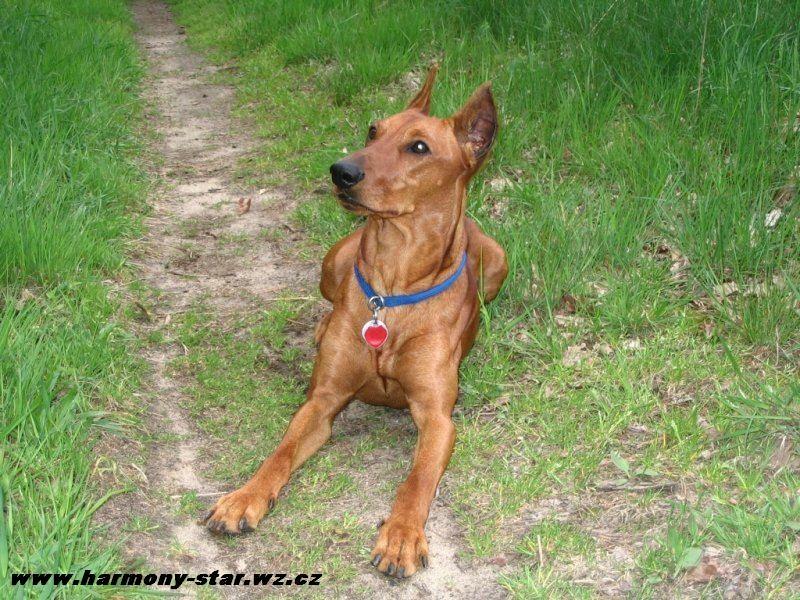 Search our database for German Pinscher breeders and German Pinscher puppies for sale! 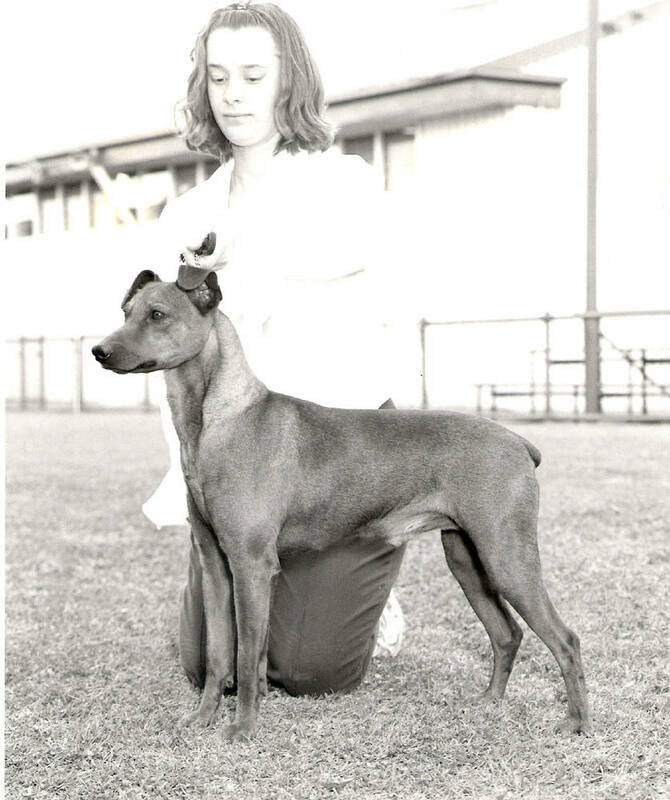 Interested in learning more about German Pinschers?CLICK HERE!